Replace your rotted 1984-86 Mustang SVO passenger rear brake hose with this Centric direct replacement hose! 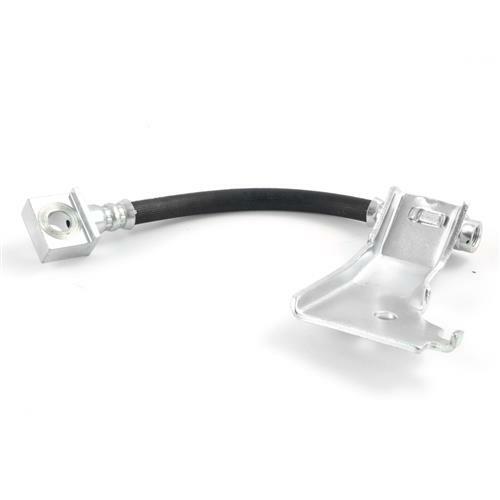 Ensure your 1984-1986 Mustang SVO is stopping properly with this direct replacement rear brake hose! The factory rubber hoses can deteriorate and crack over time which leads to brake pressure loss. 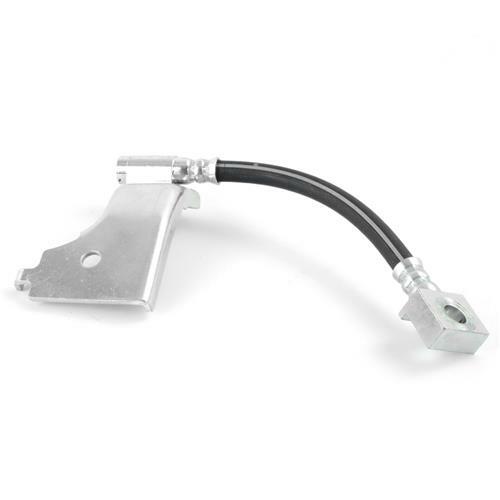 Centric constructs this passenger side rear brake hose from the factory rubber style material. OE style fittings and mounting bracket make this a quick and easy replacement for your 1984-1986 Mustang SVO! Centric Parts is an industry leader in manufacturing and supplying high quality brake components and systems for Ford Mustangs & Lightnings. 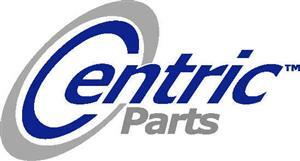 Founded in 2000, Centric has grown to provide top notch parts under the Centric, Stop Tech, C-Tek, and PosiQuiet labels. With many seasoned racers and aftermarket business professionals within the company, it's no surprise that Centric Parts has continued growth year after year. The company has one of the industry’s best programs for tracking and cataloging original equipment, and devising quality aftermarket and OE parts for consumers, mechanics and car makers. Shop LatemodelRestoration.com to get Centric brake rotors, calipers, pads, hubs, master cylinders, brake hoses, and Stop Tech brake kits!